We’re going to Spain! Our next couple of workshops will be held in the beautiful city of Barcelona, on May 7 and 8 at hangar. We will be hosted there by our good friends and expert knob twiddlers Befaco. Then we’re off to Madrid for Sunday May 10th, when, if all goes to plan, we’ll do a one day workshop at T-37. The workshop is free of charge, you only pay for what you build and take home with you. 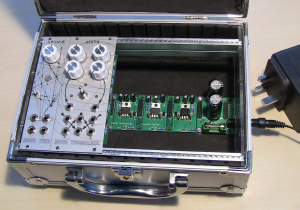 The assembly is relatively easy, no previous soldering experience is required. We will be on hand to help throughout, should you have any problems. (Note that these are special workshop prices which are only possible thanks to the volunteer efforts of the organisers.) We’re hoping to have a few kits of our new active power solution as well, more on this closer to the time. If you are interested in attending please let us know by filling out the contact form below. 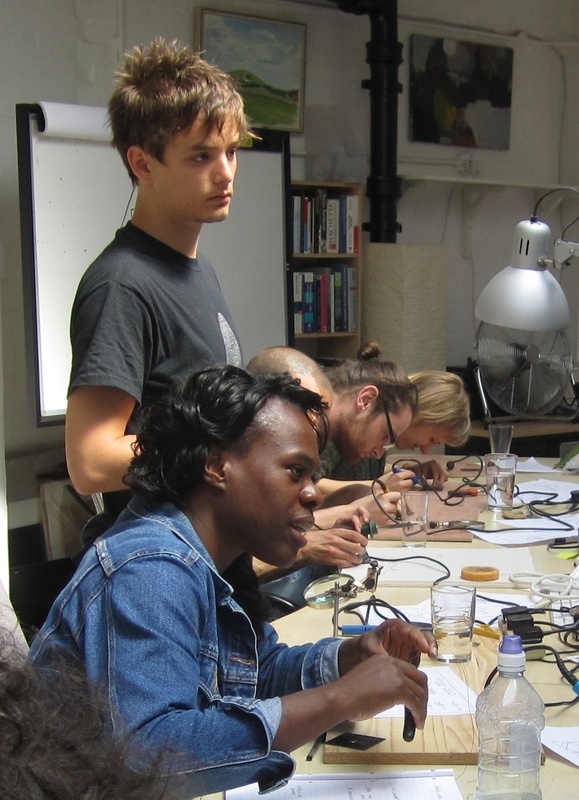 Our last workshop at the London Music Hackspace was a great success; everyone went home with a brand new, self-made module, some with two! Update: we’re doing another workshop in London, May 16, at the Music Hackspace! 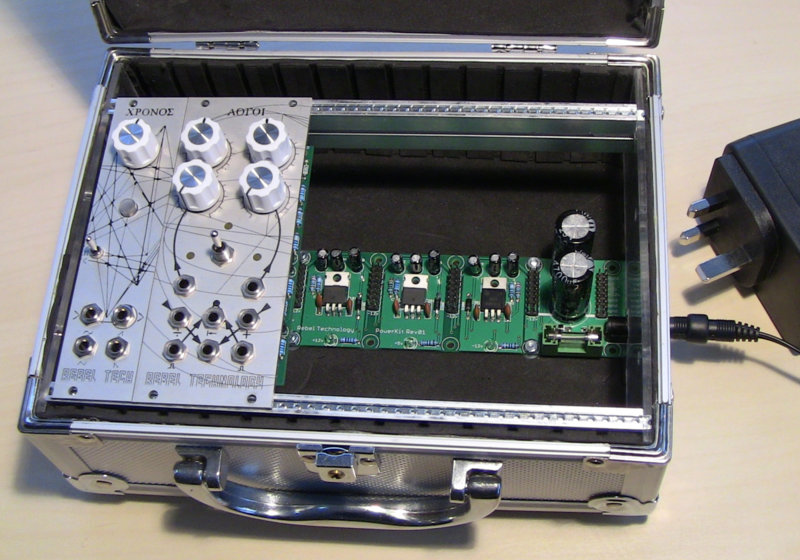 The PowerKit is a combined busboard and 200mA per rail PSU with +12/-12/+5v rails, suitable for small to medium sized portable cases.